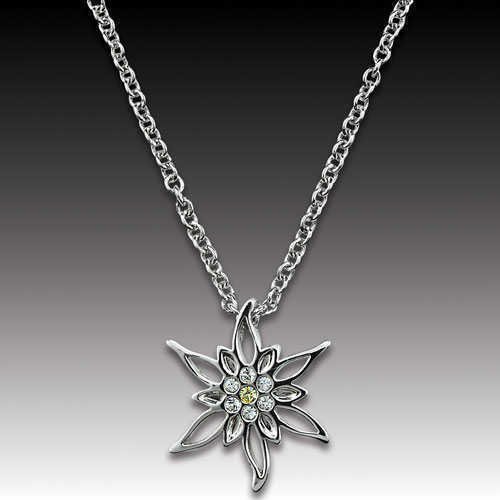 The Simone Pendant 1" diameter cutout flower with 6 clear and 1 topaz crystals. The chain has 3 links for use at 16, 17, or 18" length. Service Area: New Glarus, Janesville, Rockford, Sun Prairie, Machesney Park, Middleton, Stoughton, Whitewater, Roscoe, Monroe, Waunakee and surrounding communities.